During the trip to SunTrust Park for the game, each child received a concession voucher and a certificate with each child’s name commemorating their first Braves baseball game. 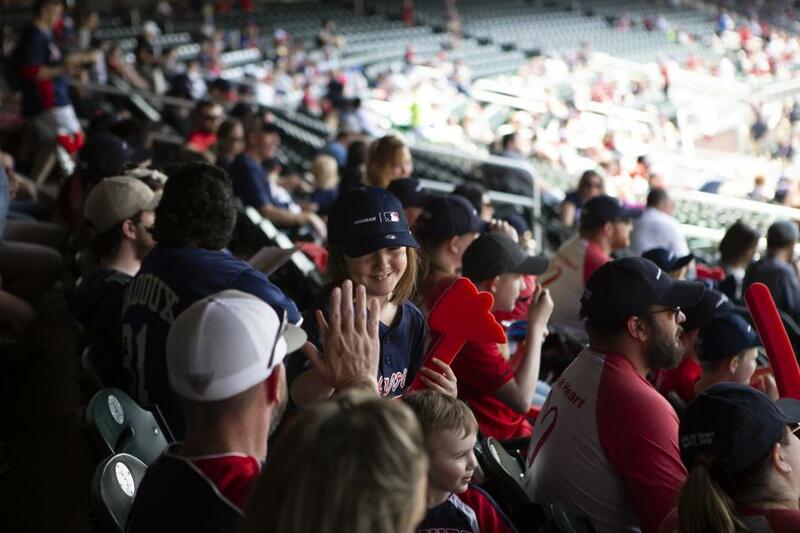 As a part of its Doosan Days of Community Service initiative, Doosan Infracore North America LLC donated 51 Atlanta Braves tickets to 11 families from Kids at Heart, a support group for Children's Healthcare of Atlanta cardiac patients and families. Doosan Days of Community Service is a companywide volunteer effort that celebrates ongoing partnerships, both nationally and globally, with communities where Doosan does business. Community involvement is important to Doosan and is part of the company's core values called the "Doosan Way." During the trip to SunTrust Park for the game, each child received a concession voucher and acertificate with each child's name commemorating their first Braves baseball game. Kids at Heart offers support to the parents, families and caregivers of children with congenital heart defects. Their services include mentorship programs and family outings as well as year-round educational opportunities. "We selected this organization for our Doosan Days of Community Service because we wanted to make a difference in our greater Atlanta community," said Seho Kim, director of human resources, Doosan Infracore North America. "It was our goal to give back to children in our local area who may not have the opportunity to go to a game with their families." The Braves faced off against the Miami Marlins on April 7 at their home field — SunTrust Park. The Braves beat the Marlins: 4-3.